A lot of people’s jobs are probably like this. Mostly boring, sometimes terrifying: military, police, fire, window washers, lion tamers. Anesthesia and pilots have been compared for years for these same reasons. The incidence of fatal accidents in the commercial airline industry is about one in a million, while anesthesia is one in 100,000. The most dangerous parts of an airline flight, like an anesthetic, are the takeoffs and landings. Putting the patient to sleep and inserting a breathing tube into the trachea, then waking them back up and removing the tube, along with a whole host of other variables, are what makes those times the riskiest. There is one glaring difference though; an airline pilot dies along with their passenger if they crash and burn. The fact that they’re risking their own lives makes me glad I chose anesthesia. For this ultimate level of commitment, I tip my hat to pilots everywhere. Back in the 1980s, during my anesthesia residency at Mercy Hospital in San Diego, statistically they said I would accidentally kill two perfectly healthy patients during my career. This blew my mind then, and still haunts me thirty-some years later. During my medical school and residency years, I suffered plenty of those terror moments. The kind where I’d break out in a cold sweat after making a wrong decision, fearing I’d just killed someone, until my attending arrived to save the day. To the best of my knowledge, I haven’t accidentally killed anyone yet. I’m knocking on wood and giving thanks as I write this, just in case. Even with all the technologies available in 2019, the simplest anesthetic has the potential to challenge my every ability. In a micro-second, a case can go from boring to life-threatening. An allergic reaction transforms an average case into a five-alarm fire in a snap. A child’s lips turning blue focuses my energies like no other. Losing blood faster than we can pump it in and watching the blood pressure tank is frustrating beyond words. Running to OB for a super-stat cesarean section because the fetal heart tones went bad is an all-go, every second matters situation. There’s no room for indecision or mistakes. It’s times like these, especially early on in my career, when I discovered there’s no place to hide from a bad decision. This is just a small sampling of average cases gone sour to demonstrate why anesthesia folks have to constantly be on their toes, be up on their training, be attentive, confident, and calm. Not to be overly dramatic, but every day we go to work, trusting, hurting, vulnerable patients put their lives in our hands. They’re counting on us to get them safely through surgery, no matter what. Believe me, we’d love every anesthetic to be boring, but that rarely happens. For my own sake, I hope it’s a lot more boring up in the cockpit than it is in the operating room. 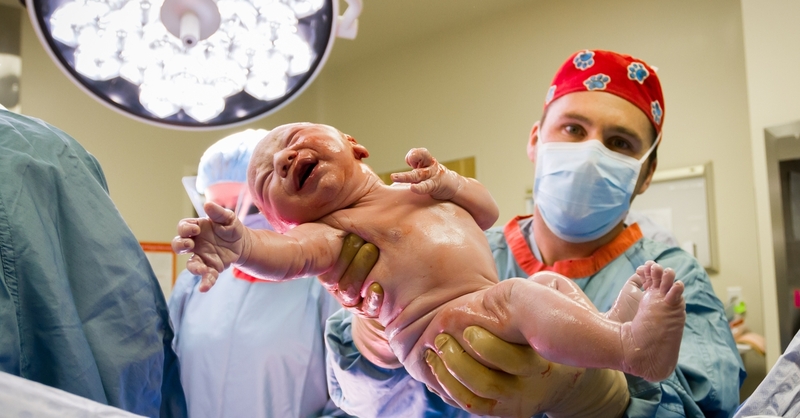 Next up: Labor Epidurals-Yes or No?